Sabol Designs is celebrating their 10th anniversary this year by offering unique monthly deals via their website at Saboldesigns.net. It's hard to believe that Sabol has been making the Army Transport cases for ten years now. How time flies! Years ago I owned three of the original Army Transport cases, and never had a problem with them. 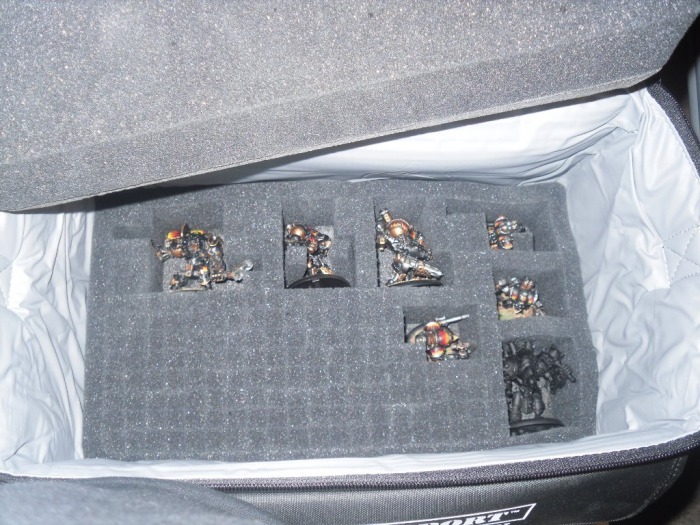 They put protective cases for miniatures on the map with the original Army Transport cases, and now they offer a wide variety of Army Transport options. Sadly I got out of wargaming for a few years about 6 years ago, and sold off my original Army Transports and all of the miniatures I protected within them. 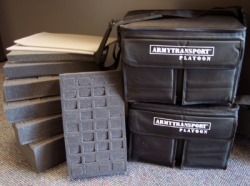 I recently jumped back in about a year ago, and the first thing I did was pickup a new Army Transport Motor Pool, which is essentially their double-wide case, which holds 8-inches of foam trays side by side, and comes with a wider variety of larger trays, than the original Army Transport. Since I'm primarily a Warmachine player now, and I dabble in Warhammer 40k with a fairly large Space Marine army... I needed the larger trays, instead of a bunch of 1-inch ones (and two 2.5 inch ones) that come with the standard Army Transport deal. So the Motor Pool was definitely the way to go for me. Well my armies are growing, and I've filled up my Motor Pool and then some, so it was time to add to the transportation pool. Granted there are a few other more expensive options out there these days (BattleFoam), which offer pre-cut trays entirely, with hard shell exteriors and other bells and whistles, but those options cost two times as much, or more than going the Sabol route. When given the choice of spending as much as a bunch of new miniatures, or one single case...I'm going for another box overflowing with miniatures every time hands down! Plus for what I wanted to do, which was separate my 40k stuff from my Warmachine pieces... it was a far more economical solution sticking with the Sabol products no matter how I looked at it. The BattleFoam guys almost had me though. They shot themselves in the foot with the new case for Warmachine pieces, which I really liked at first. Then I found out that it was designed with trays of a different dimension than all of their other trays, so my idea of using the case for double duty was shot down in flames, since it's not compatible with the rest of their product line at all. 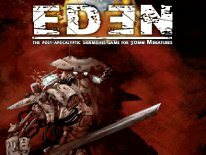 Since their existing pre-cut 40k trays won't fit into the Warmachine case, they killed that idea, and cost themselves a potential customer in the process. So the expandability of that product is non existent, outside of a tiny case they plan to offer at a later date to latch on to it, which will no doubt cost an arm and a leg too. I recently picked up the March Deal via their website. It included a nice variety of pluck foam trays (4inch, 2inch, 1.5 inch, to name a few), plus two of their smaller Platoon cases, and two of their new 2-inch pre-cut trays, all for $85+Shipping. That's a savings of about $20 over the cost of buying them all separately. I've been wanting to get my hands on the new 2-inch pre-cut trays for some time now too. It seams Saboldesigns.net direct was the only option at present. It's such a new product that most online, and brick and mortar retailers aren't carrying them yet. If you don't count their paints tray, this is their first attempt at a pre-cut tray design. The tray itself is the same dimensions as all the other Sabol trays, but instead of tons of little tiny blocks to pluck away, there are larger 1.5-inch by 1-inch blocks to pluck out. So it's not entirely pre-cut, as you have to pluck the larger blocks out yourself, but I can't find this to be a bad thing. Personally, I wish the blocks were a hair wider and taller, or at least wider, then they'd give a little more room to accommodate 30mm base figures less snug. At present I'm able to use the trays for my 30mm-based smaller Warmachine figures, like most of my Retribution Sentinels, Khador Widowmakers, Cygnar Arcane Tempest Gunmages, some of the solos, and other smaller figures that don't have a lot of crazy poses leaving extremities sticking out wildly. They fit most 25-28mm figures like GamesWorkshop 40k, Warhammer and Lord of the Rings size stuff too nicely. I am pleased with the trays, and I guess the thing about any pre-cut tray is that unless it's designed for a specific troop, or purpose, no pre-cut can ever be everything, for everyone. Overall the new 2-inch pre-cut trays from Sabol are very nice for many 25mm and 28mm figures, and some 30mm base figures, but with a very snug base fit for the later. 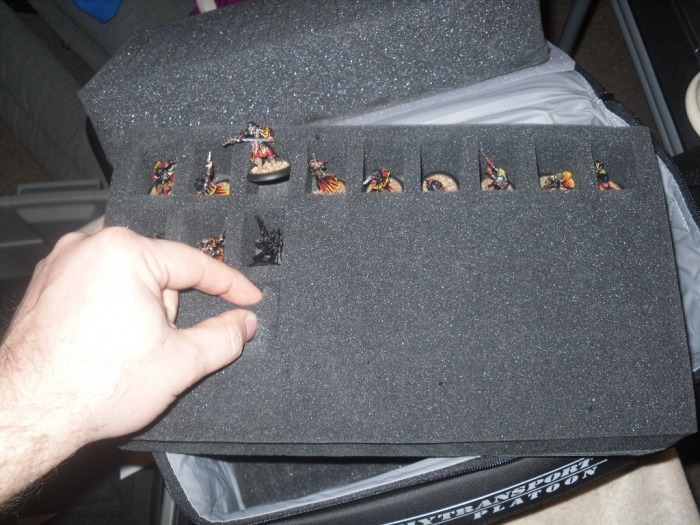 I'd like to see more pre-cut trays from them, maybe another 2-inch tray with larger cuts, that would accommodate most smaller warjacks, and some of the warcaster figures from Warmachine, maybe even Warhammer 40k Terminators. As for the Platoon bags... They're a hair smaller than the normal Army Transports, at holding 8-inches, versus the 9-inches of foam that the original Army Transports hold. Essentially two of them equals another Motor Pool in terms of capacity, since my Motor Pool holds two stacks of 8-inches per side. The Platoons are stackable, via the clips on each case, so you can stack one on top of the other. I won't be doing that, but it's an option. They offer the same two pockets via the front found on the Motor Pool and regular Army Transports, and the single large rulebook/codex-size pocket can be found on the back of the case in a mesh/netting design. I can't find anything bad to say about them, aside that money-wise, they run just a few dollars less empty ($27.99), than a Motor Pool ($34.99) or regular Army Transport MkII ($34.99). If I were given a choice, I'd have opted for a single Motor Pool, or regular Army Transport MkII over the Platoon for a few bucks more. Since I have them I'll definitely make use of them, and at the discounted price I paid, I can't complain much either. I have no regrets with my purchase of the March deal what so ever. The only thing I see that the Platoon has over the other two options I mentioned is the stackable feature, but capacity-wise, the Motor Pool is double the capacity for a few dollars more, and the MkII while only offering 1-inch more capacity, does offer far easier access to the trays with the fold down flap. As you can see, they all have a little something that the other one doesn't, and this is what I like most about the Sabol products. They have a little bit of something for everyone, and the cost of almost any one of them isn't too steep. What's more, you can buy what you need, as needed, and don't have to fork out hundreds at once for a bag larger than what you need. If you do have large needs tho, they offer larger options as well. Be sure to keep an eye on their website. This months' deal is up now for April, which is also discounted quite nicely, with a nice variety of new trays, and includes a Motor Pool case. There's eight more months left in the year too, so that's eight more deals coming our way!